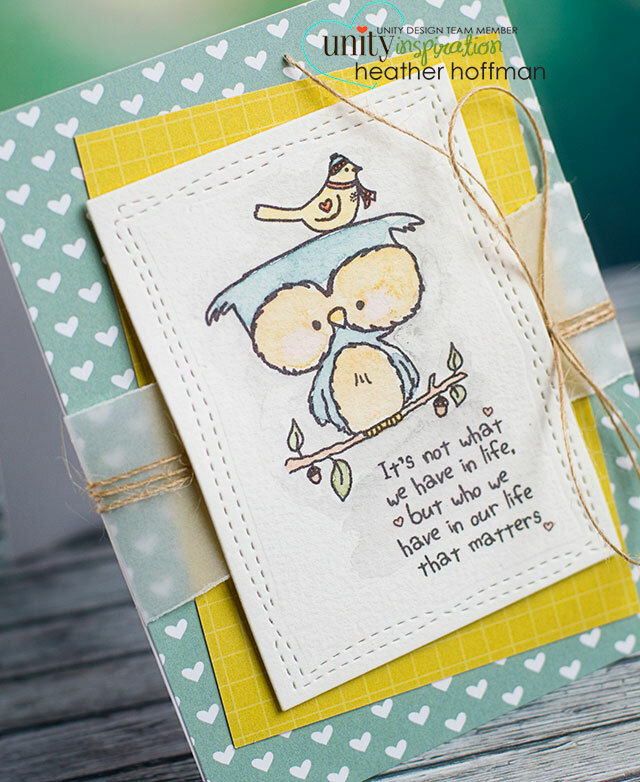 I watercolored him with Gansai Tambai watercolors on a panel cut with an Avery Elle die. Pattern paper is also by Avery Elle. 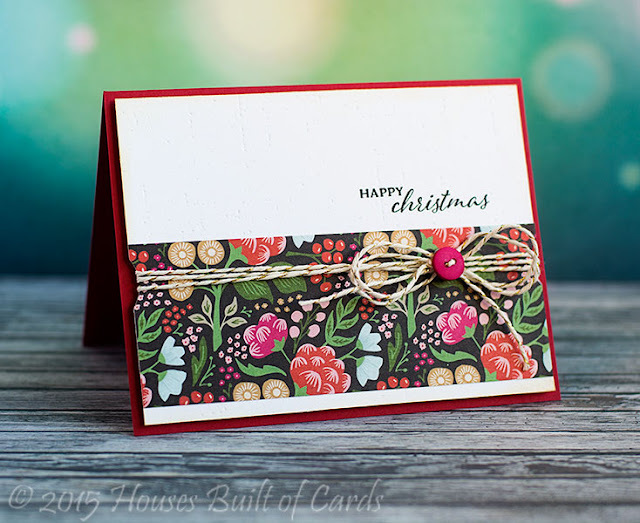 Jute twine is the finishing touch! Once everything dried, I added a line of simple machine stitching around the outside, then attached with strong adhesive to my card base with some older Basic Grey pattern paper from my stash to back it. And of course in addition to all these fun releases, there are some great sales going on this week - make sure and check them all out! 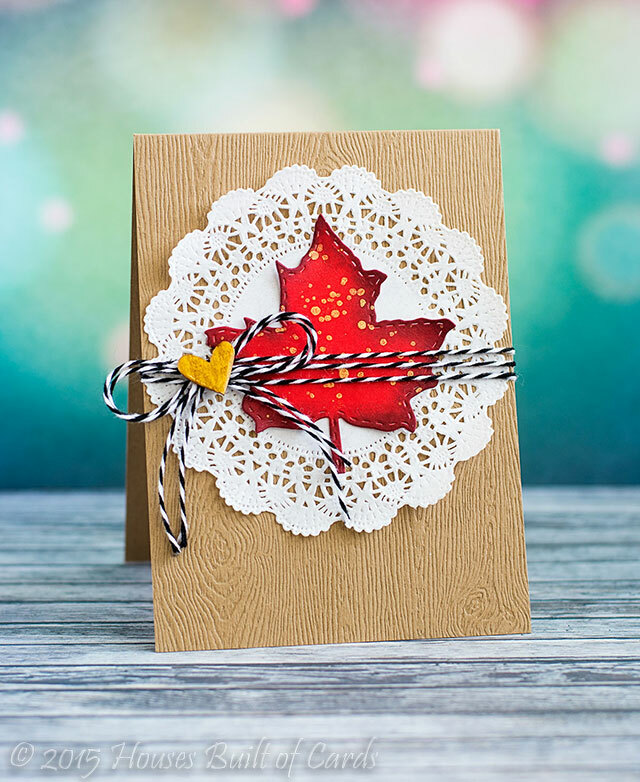 Here is the rest of the links for the Design Team - make sure and visit everyone to see the new stamps in action - and don't forget that tonight is the new "Friends with Flair" - so make sure and link up along with us! Can't wait to see what you make!!! 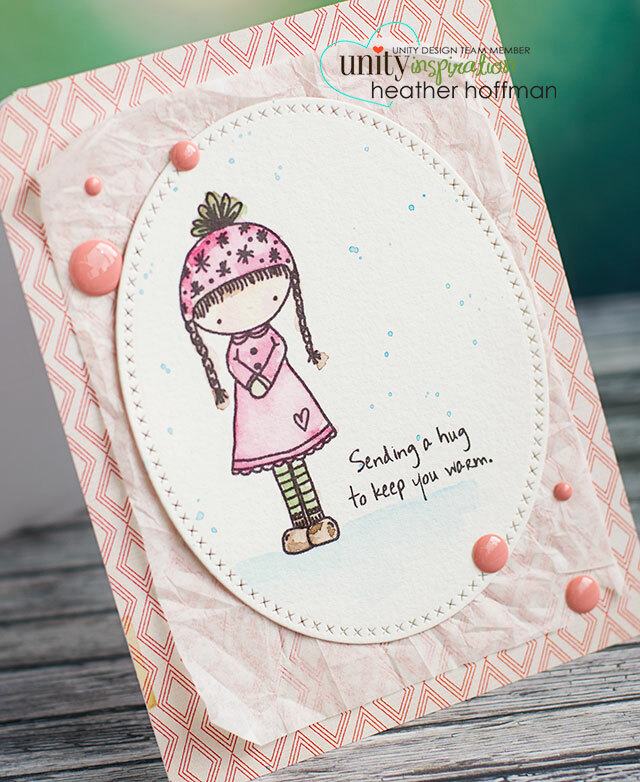 For this one, I used the newly released Pocket Page Fall Die Set and some Pink Paislee pattern paper and mixed together an un-traditional color combo. 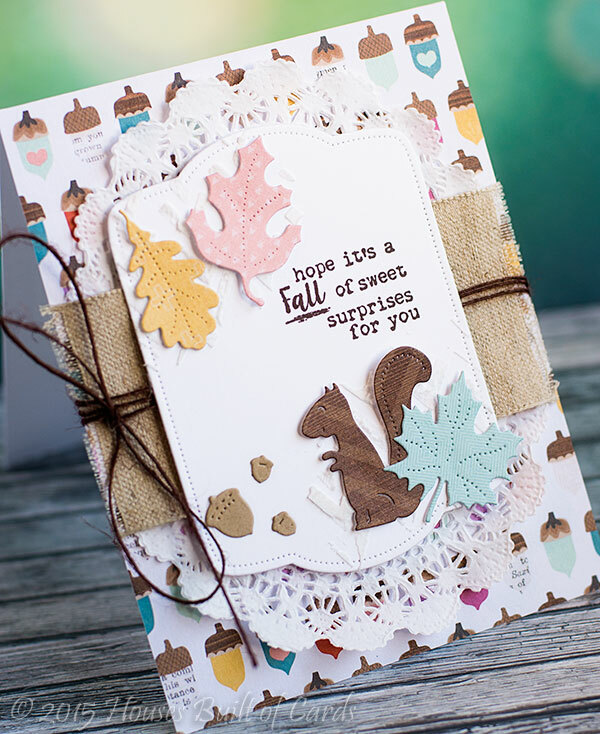 Used some embossing paste and a chevron stencil behind the leaves and squirrel for some texture, a sentiment from Unity Stamp Company, and tucked a doily, some May Arts linen look ribbon, and some jute twine behind it. 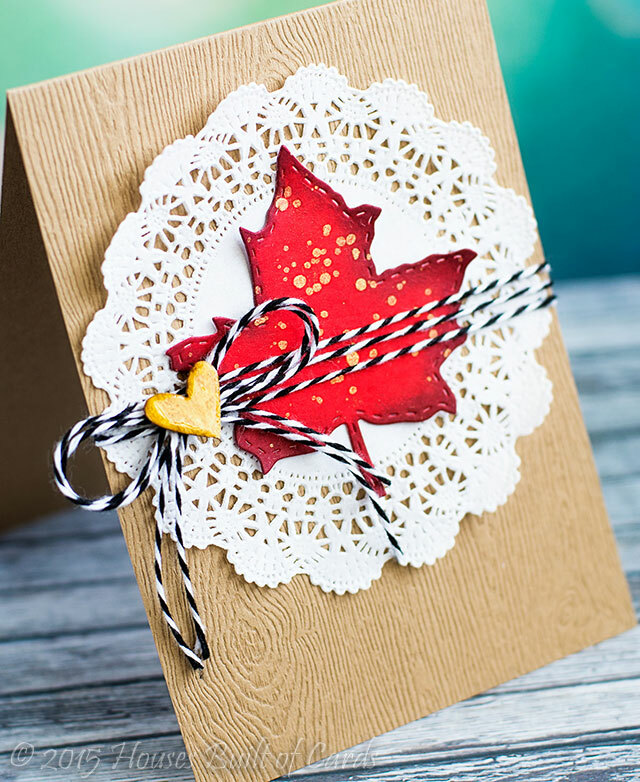 Next up, I went with a more elegant looking card - and really featuring that beautiful maple leaf! 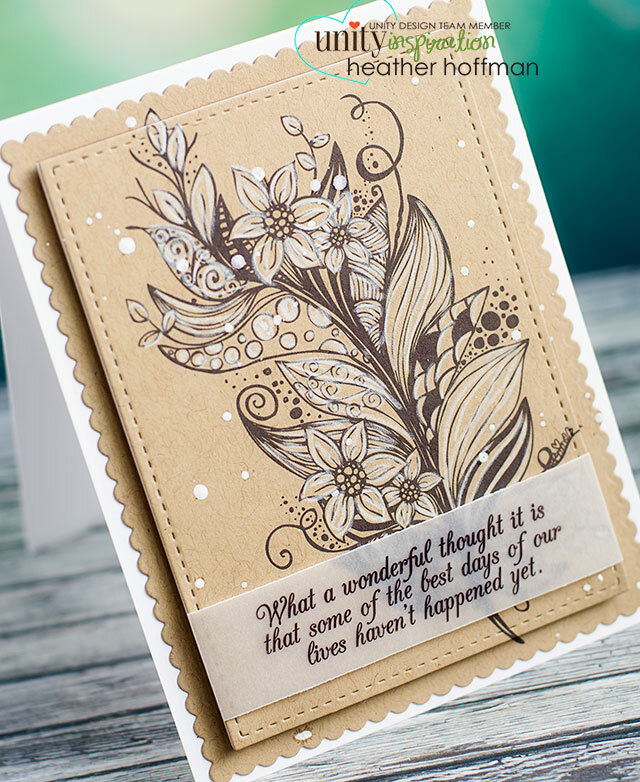 I used the same pattern paper pad, and another sentiment from Unity Stamp Company, this time heat embossed on vellum with some torn edges. I added some machine stitching, and some jute twine behind the leaf. 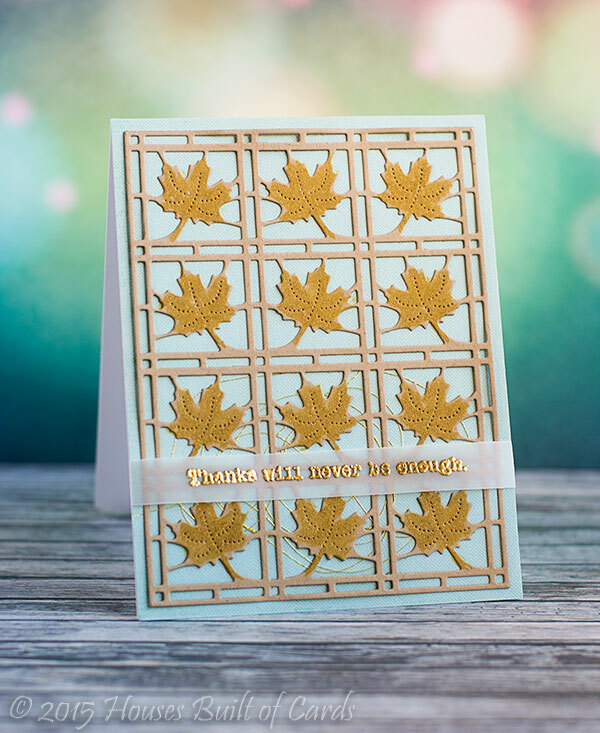 And finally - this lovely new leaf background die! SOOOO pretty! 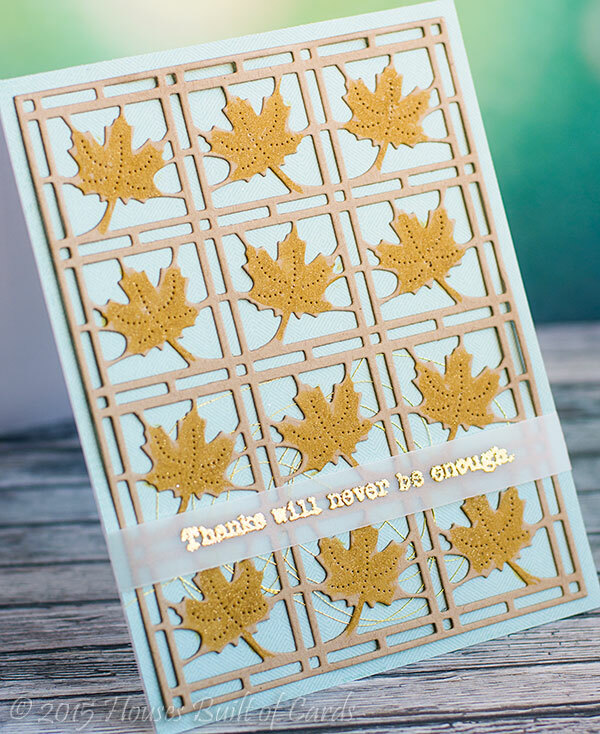 For this one, I die cut the Leaf Mosaic Die from kraft, and then colored over the leaves with a gold Wink of Stella pen. I wish you could see the pretty sparkle! 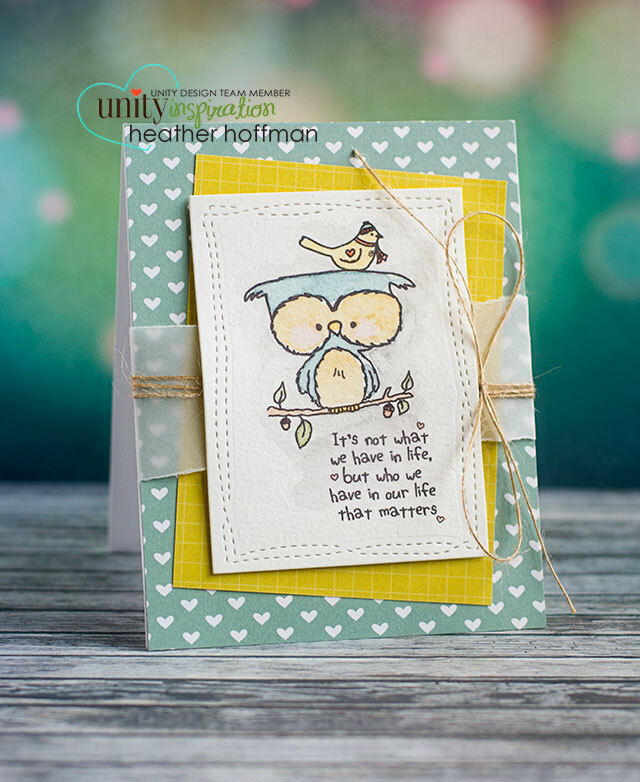 I then added, once again, a Unity Stamp Company sentiment - heat embossed in gold on vellum, and tucked some gold thread behind the die cut, before adhering to some super soft blue pattern paper from the same paper pad. Thanks so much for stopping by today - and thanks to Top Dog Dies for having me again! Have a wonderful day! Here is the video - it's really easy peasy, but I had to share it! 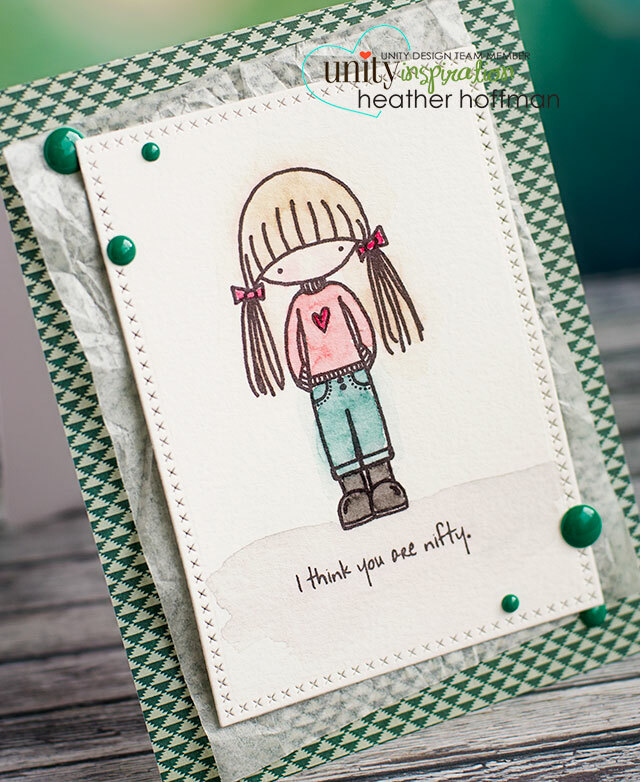 I used a MFT die for the background, some watercolors and watercolor paper, some Crate Paper pattern paper, and a few enamel dots. 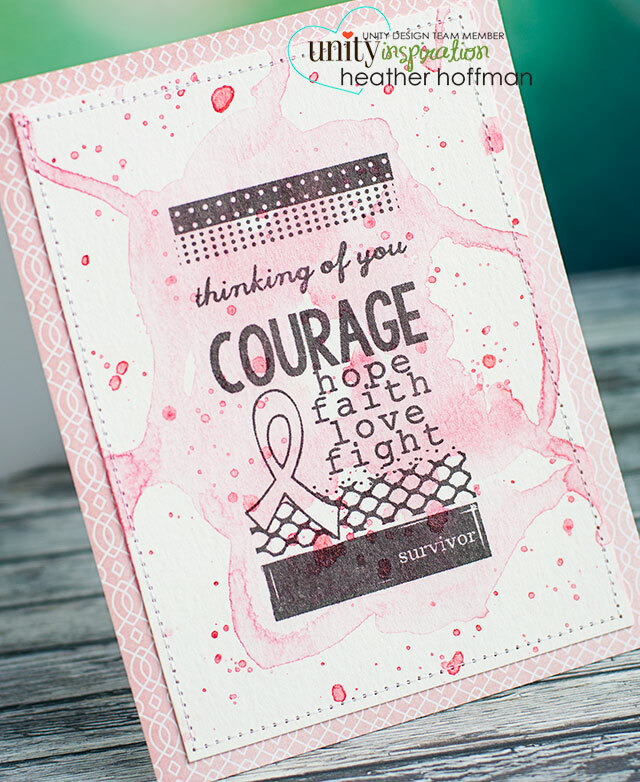 Pretty much the same supplies - they are so easy and fun to color! The front panel was cut with a Mama Elephant Die, and I added some Simple Stories paper, folded a corner down, and used a staple to hold on a twine bow - as well as hold the fold down. Added a few enamel dots, some woodgrain paper from the same pad, and curled up some paper edges for some beautiful dimension. Thanks so much for stopping by - have a wonderful day and weekend! Good morning! 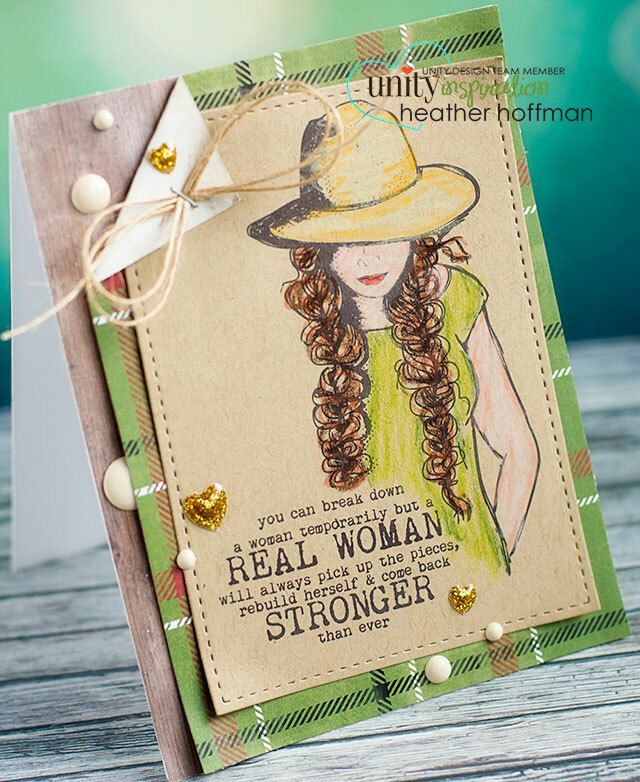 I'm excited to be guest designing this morning over at the Twinery and sharing a couple cards using some beautiful Baker's Twine! 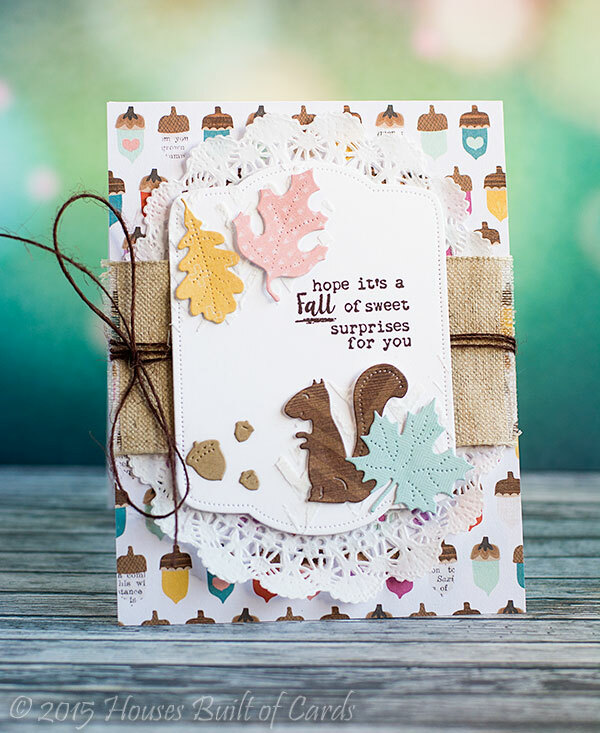 Since we are at that beautiful time of year, heading into the fall and winter seasons, I created a couple of seasonally inspired cards to share - first up, a simple fall note card. 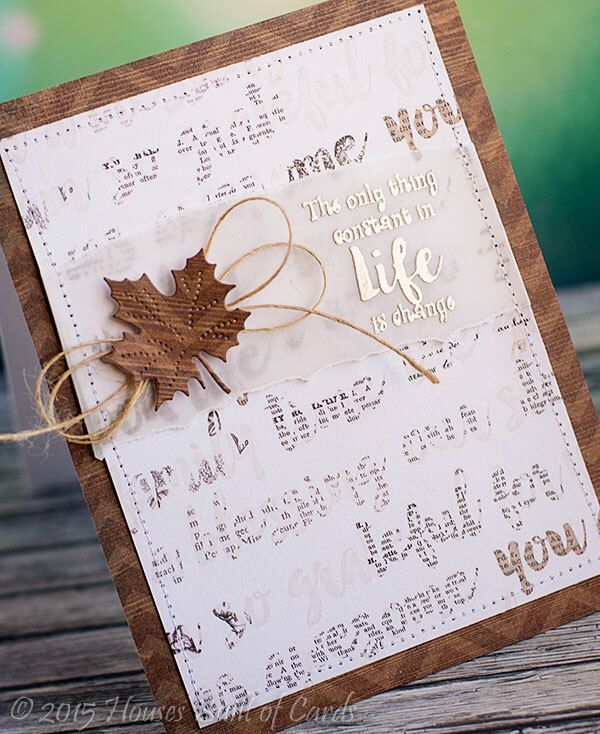 This would be easy to personalize with a sentiment, or just send a note to someone special to let them know you're thinking of them! 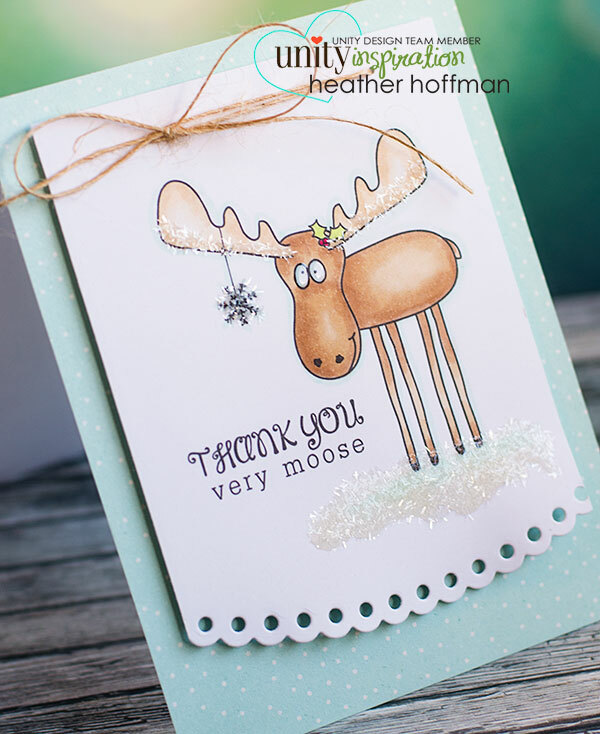 Next up - I wanted to create a very simple holiday card, that would be easy to reproduce in multiples if needed. 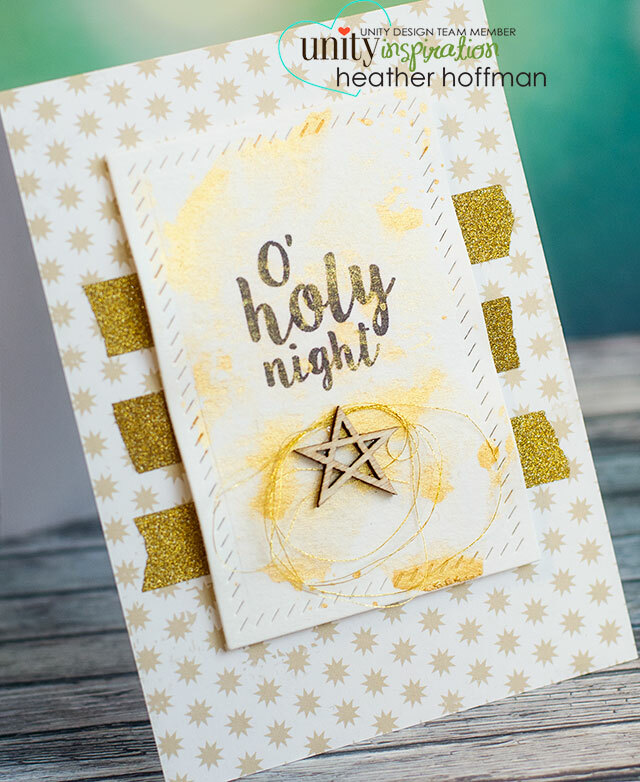 I also LOVED that beautiful gold shimmer twine the moment I saw it and just knew I needed to make use of that one! I used my PTI Linen Impression Plate to create the texture on my white cardstock, and added my strip of pattern paper on the bottom. Used a bit of distress ink to soften the white edges, and stamped my sentient from Winnie and Walter. 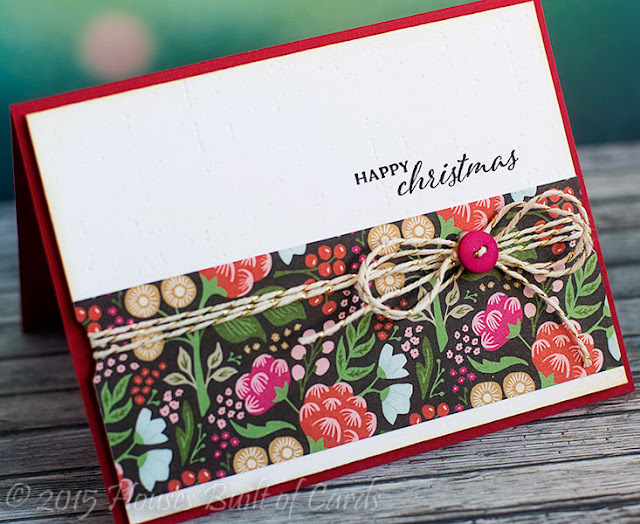 I used a round circle punch to add the little notches on the sides to hold the twine in place, then wrapped it around again, and added a bow with a bright fun button in the center. Finished off by mounting with foam adhesive on a red card base. Thanks so much for stopping by today - and to the Twinery for having me! Have a wonderful day! Good morning! 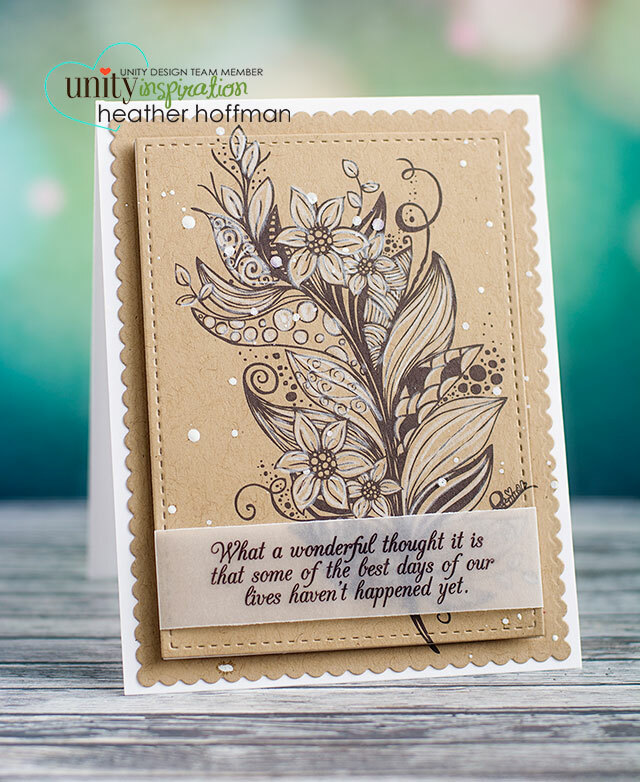 Dropping by again this morning to share another card with one of the new releases at Unity Stamp Company from last night - this feather is absolutely STUNNING!!! 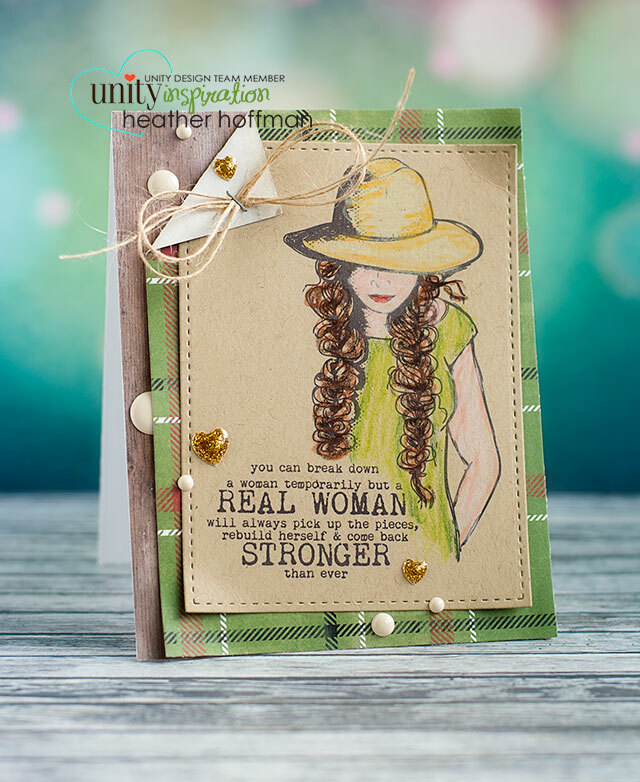 Designed by the amazing Angie Bloom - LOVE it! I thought I would do it super simple and let it shine in it's simplicity! :) I even made another Quick Tip video to go along with it! 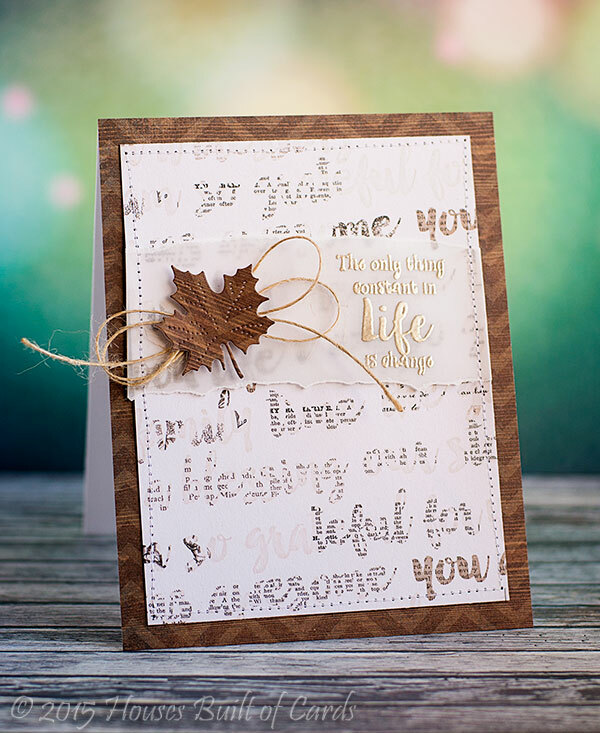 I used a Wplus9 die, and added a few ink splatters with some white Mister Huey's mist, then added the sentiment on vellum, wrapped and tucked behind. So incredibly easy! Thanks for dropping by again today! Have a wonderful day! Good evening!!! 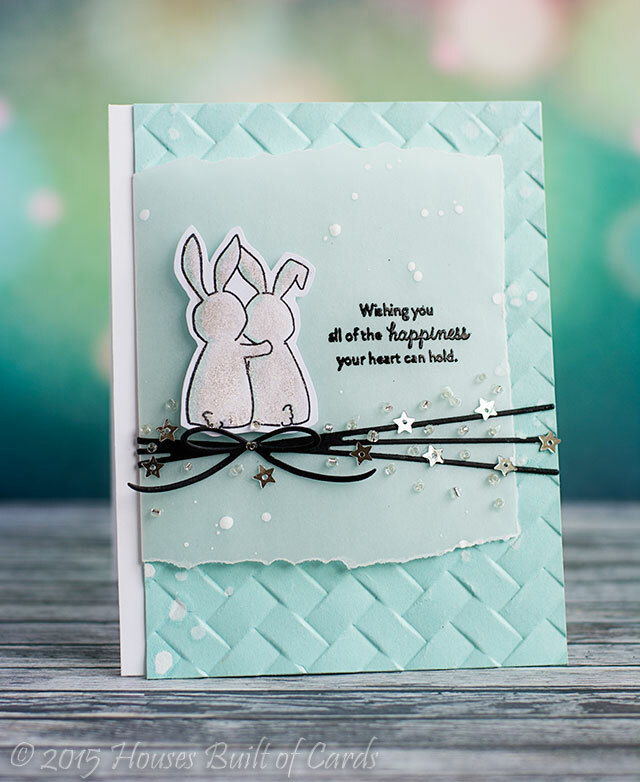 Tonight is another fun release night and hop with Unity Stamps - so many fun new releases to fall in love with! There was so much stuff to get ready, that instead of the normal Tuesday hop this week, we had to postpone a couple days until tonight. I promise it was worth it though! Wait until you see what everyone else has been working on! This is one AMAZING team! 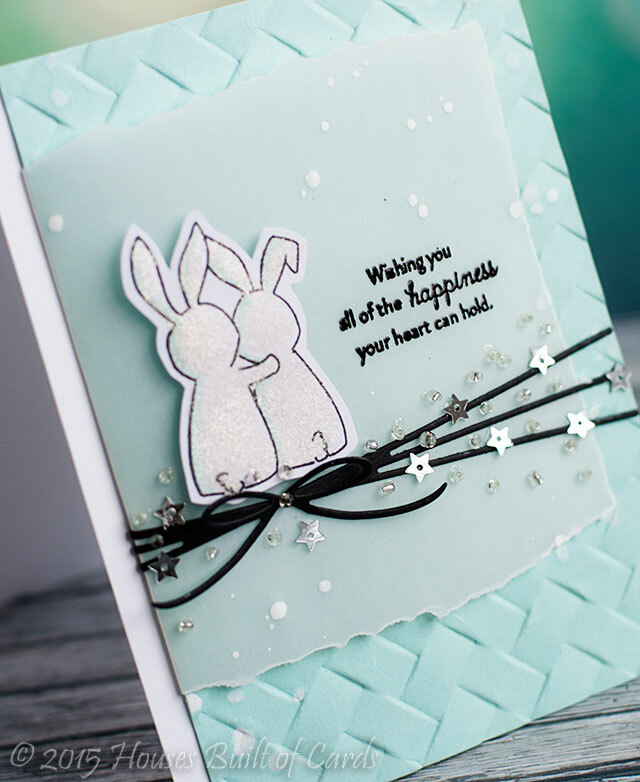 Here is the Quick Tip video - sharing how I created "snow" using Glossy Accents and Tinsel Glitter - love the sparkle! I colored him with Copics, used Lil' Inker's Border Builder's Die Set to cut a fun edge on the bottom, the punched a couple holes to tie some twine on, before attaching the entire panel over some Basic Grey pattern paper with foam adhesive. I also added Glossy Accents to his eyes! LOVE! And of course in addition to all these fun releases, there are some great sales going on this weekend - make sure and check them all out, along with the new releases! I did some very simple coloring on the bunnies from Wplus9's Wishing You, then covered them VERY heavy with Wink of Stella and fussy cut them out. Did some torn vellum wrapped around the embossed panel with my sentiment from Wishing You Sentiments heat embossed on there. Added a faux twine bow using Pretty Pink Posh's Twine and Bows Die - such a clever and fun die! Added some silver star sequins and silver shimmer beads - attached with tiny dots of Glossy Accents, then finished off with a bit of white Mister Huey's mist splattered on there. 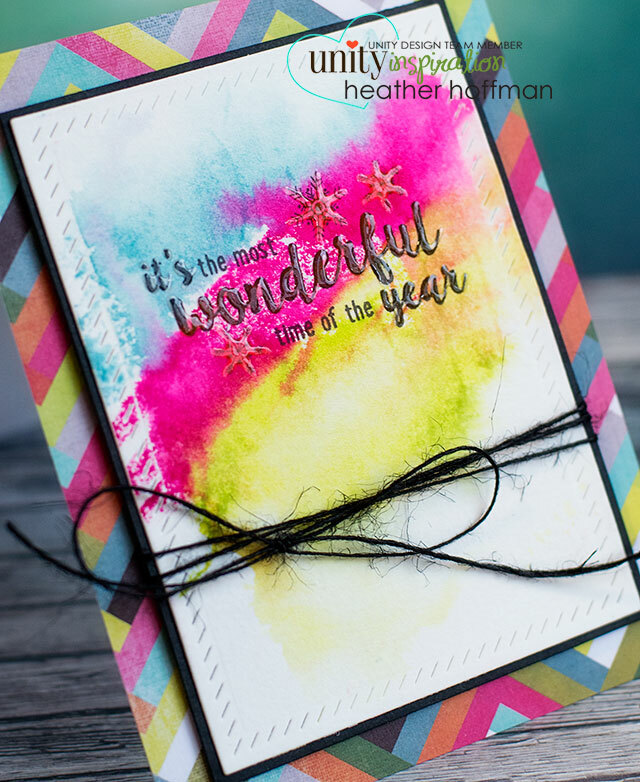 I also used the current colors for the Be Inspired Challenge - aren't they so bright and fun?!?! ?